Advanced Fluid Systems would like to welcome our newest Sales Engineer, servicing the Connecticut, Lower New York and Long Island areas. 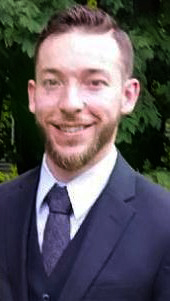 Patrick is a Mechanical Engineer who joins AFS from Stanley Black & Decker, Inc. where he served as a Product Engineer where he managed all engineering activities for all layout hand tools including levels, chalk reels, squares, rules and tape measures. His experience in the areas of machine design, troubleshooting, project management and product installation makes him a great addition to the Advanced Fluid Systems’ family. Patrick is eager to bring fresh, innovative solutions to AFS customers. Patrick has the full support of the Advanced Fluid Systems’ sales, manufacturing, repair and field service departments at his disposal and everyone here is excited to be working with him. In his free time, Patrick enjoys hiking, hunting, fishing, snowboarding, mountain biking, and working on anything with a motor. © 2019 Advanced Fluid Systems.